Offline navigation is essential for any outdoor traveling. Bad or even no data signal in mountainous, rural or otherwise deserted areas makes online navigation useless. Locus Map in default settings offers navigation with help of implemented online services. Firstly it is YOURS online navigation service followed by others like OSRM and MapQuest. 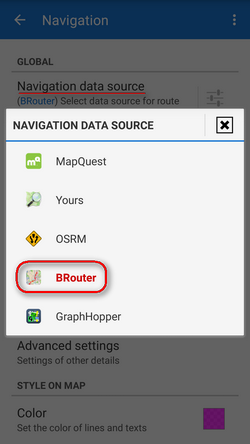 If you want offline navigation, you have to install cooperating routing app BRouter, available at Google Play Store >>. Locus Map identifies it in the system and adds it automatically to the routing services portfolio. then start navigation as usual by Navigate to function and you will be navigated offline. 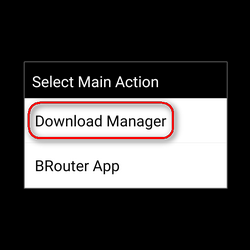 Although BRouter user interface looks quite simple, the app offers quite a lot of various settings, creating custom navigation profiles etc. A rich source of info and tips is this wiki-blog >>. BRouter provides also a web app, enabling route planning on a big PC screen and consequent export to GPX file and then to Locus Map. 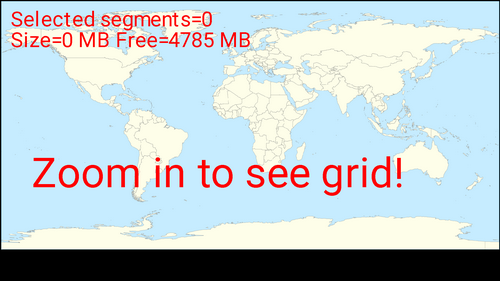 An alternative to BRouter is routing software GraphHopper. An unofficial Locus GrapHopper add-on is still in development but is free to use. It is not available at Google Play yet – all necessary links and relevant information gather in this forum thread >>.